Your teeth are made of the most durable materials, making them among the strongest parts of your body. On the other hand, many factors, including unhealthy diet, highly affect the strength and durability of your teeth over time. Hence, your teeth become vulnerable to damage. Once your teeth get damaged, finding a suitable treatment with your dentist is the first and best solution you can have. In doing so, you can keep your teeth from further destruction. Dental crowns and bridges are dental treatments that restore damaged teeth and prevent more harm. 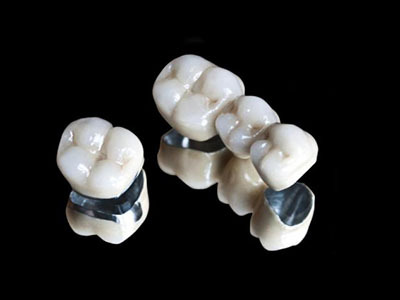 Dental crowns are tooth-shaped restoration caps placed over and attached to your tooth. These tooth restoration treatments will cover the whole visible section of the affected teeth so as to restore their ideal form and function. Through proper care of the wearer, dental crowns can even last up to 10 years. Dental crowns also enhance the appearances of your teeth. They are good alternatives to tooth whitening and other cosmetic dental options. Also, they serve as a support to some dental rehabilitation that you need to undergo. They are usually applied to hold a dental bridge as well. What Dental Crowns can do? Dental bridges are one of the dental procedures used in treating missing teeth, single or multiple. These restorative solutions are composed of two dental crowns with the false teeth in between them. They are then positioned on top of the teeth on either side of the gap. Aside from filling the gap in your smile, dental bridges also prevent upcoming complications that occur due to your missing teeth. Through dental bridges, you do not need to hide your smile and limit your confidence anymore. What Dental Bridges can do? Damaged teeth and tooth loss can take away your liberty to smile and enjoy life to the fullest. To effectively deal with such dental problems, consult your trusted Salisbury dentist here at Parabanks Dental. Our outstanding expertise in Restorative Dentistry such as in dental crowns and bridges treatments delivers exceptional results for upgraded overall oral wellness. 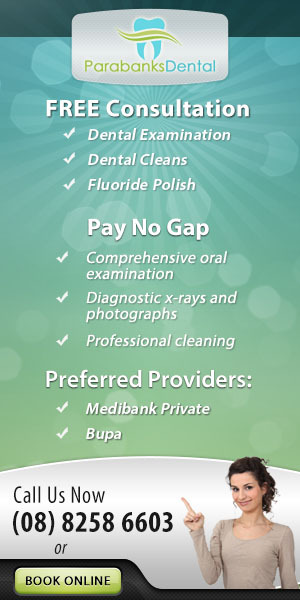 For Medibank Private customers, claim our PAY NO GAP offer as well as FREE Dental Consultation, Free exam, clean and fluoride polish. Book your appointment online or call us on (08) 8258 6603.